Radiohead, experts in sad rock songs, and Lana Del Rey, expert in sad ballads, might be heading to court. 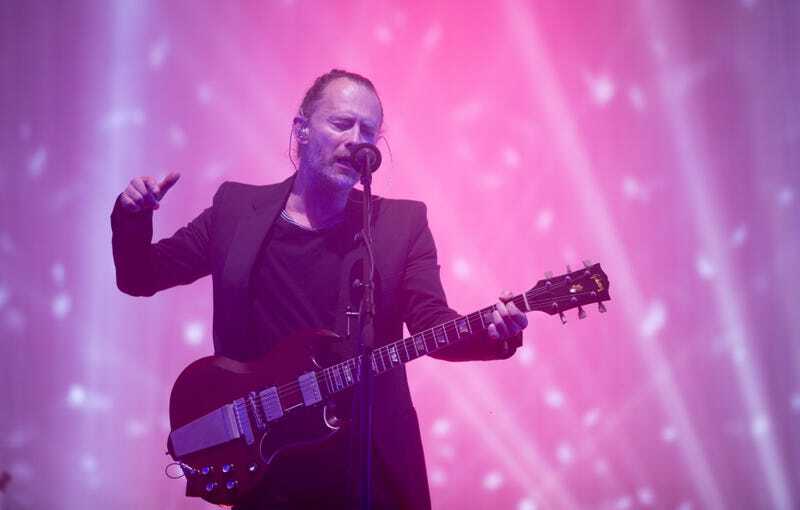 According to The Sun, representatives for Radiohead are currently going head-to-head Lana Del Rey’s team over the similarities between the band’s 1992 hit “Creep” and “Get Free” from her 2017 album, Lust For Life. A source told the The Sun, “It’s understood that Radiohead’s team are hoping for the band to either receive compensation or be credited on the list of songwriters to receive royalties.” Why Radiohead thinks they own a chord progression used in music before and after their time is beyond me, but someone should probably let ‘em know they don’t own it? Anyway, on Sunday, Lana Del Rey tweeted about the legal matter. The irony here is that Radiohead has already faced their disputes over the song. Albert Hammond and Mike Hazelwood, the brains behind the Hollies’ 1972 song “Air That I Breathe,” received songwriting credits for “Creep” in, because of its similarities to their original track. Pot, kettle, black. Radiohead’s team declined to comment on this matter. We reached out to representatives for Lana Del Rey and will update if we hear back. We’ll leave you with this: if you’re a musician, make sure none of your songs sound like any other piece of recorded music ever released—that is, unless you have an excellent lawyer. Has Donald Trump Ever Listened to Radiohead?